Ahem! So, uh, yeah. It's been a minute since I last popped up here. A year to be exact. Oh, I've lurked around here occasionally, checking to see if anyone is doing any clicking in my absence. But, posting? With new recipes? Obviously, no. And now that I've finally (finally!) summoned up the bravery, I'm still trying to remember where all the buttons and links are in here. AWOL blogger problems, no? Let's see... Where did I leave off? Oh yes, I had surgery (which turned out just fine, btw), and my parents were coming to visit a few weeks later. They got all settled in, and then we sprang the news on them - we were eloping! While they were here! Yep, Bo and I decided to elope and threw the whole thing together within a month. 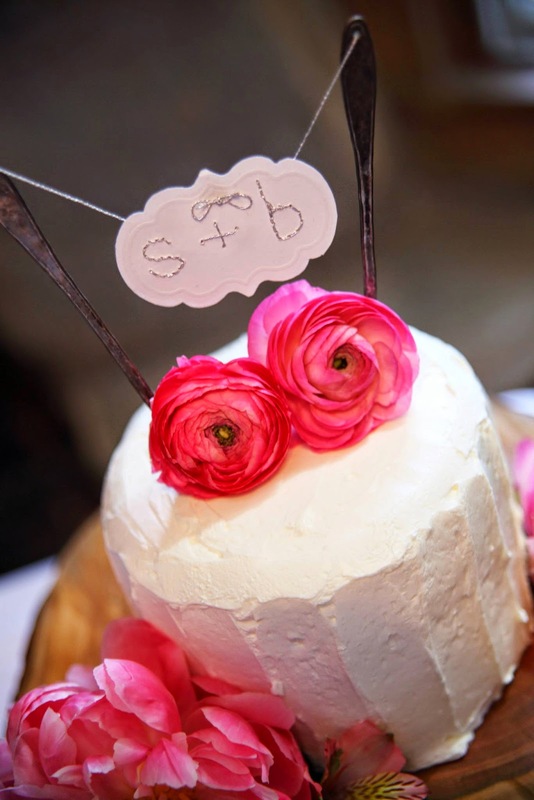 All my parents had to do was take me dress shopping and help make my wedding cake. Because you know I made my own cake, of course. My grandma's Banana Cake recipe soaked with Caramel Sauce and frosted with White Chocolate Swiss Meringue Buttercream. I will definitely post that recipe for you here. It's just too knock-you-on-your-seat-delicious not to share. That, and my neighbor has been requesting the recipe for a year now, so I've really got to get my act together. Anyway, we eloped, with just our parents and Rory. That's it! It was an amazing and beautiful day. Then, we settled back into regular life. And life wasn't particularly easy on us, if I'm being truthful. Bo spent most of last year looking for work, his mom was living with us (which is hard, y'all, hard), I was dealing with infertility, and then we found out that poor Rory has cancer. All of that, all at once. So, it's not particularly surprising that I sank a little. I'm afraid to use the word "depression," but I definitely wasn't myself. I was a sad, muted, tired, antisocial version of myself. Label it however you may; I just knew that things were tough. A year later, I've managed to scrape myself out a bit. I've spent more time in the sunshine, and I've spent more time doing the things that bring me joy. Like baking. Baking cookies. 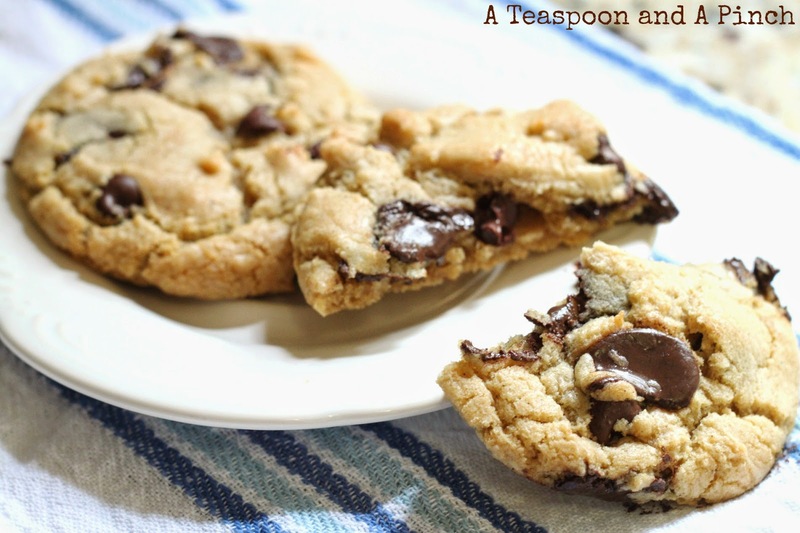 Browned butter chocolate chip cookies. The cookies that rocked my world the first time I made them. These little things look innocent enough, but holy smokes, biting into them is perfection. 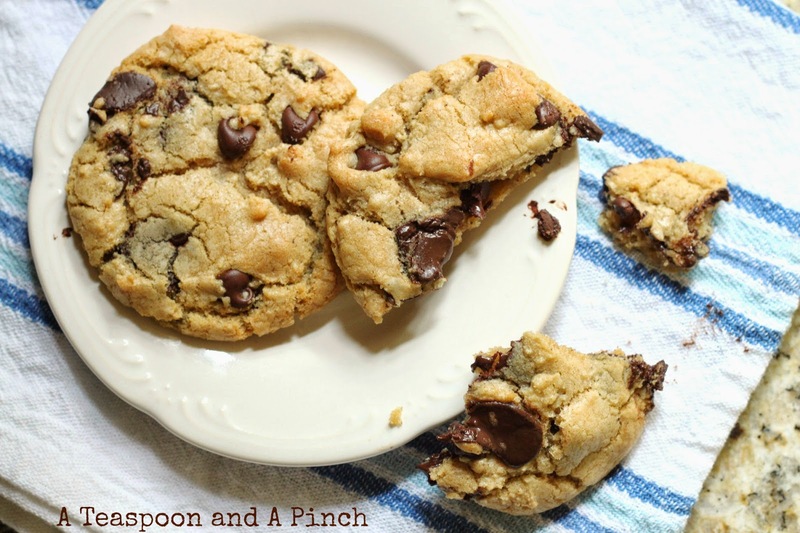 The browned butter gives them a deeper, caramely flavor, and the combination of two kinds of chocolate chunks ensures that every bite is the best one yet. You might notice that I've listed ingredients below in weight, rather than by volume. When we moved to the South, I discovered that all my trusty recipes quit behaving. I've since converted to doing all my baking with a kitchen scale, and I haven't looked back. It's actually easier and faster to just pour things into a bowl than to get out measuring cups for each item. And I keep a handy list of conversions taped to the inside of my spice cupboard. I hope you adore these cookies as much as I do. And for those of you who have asked for this recipe a zillion times over the past year - I'm sorry. I knew I'd eventually get around to posting it. I just didn't realize that I'd take so long to deliver on that promise. 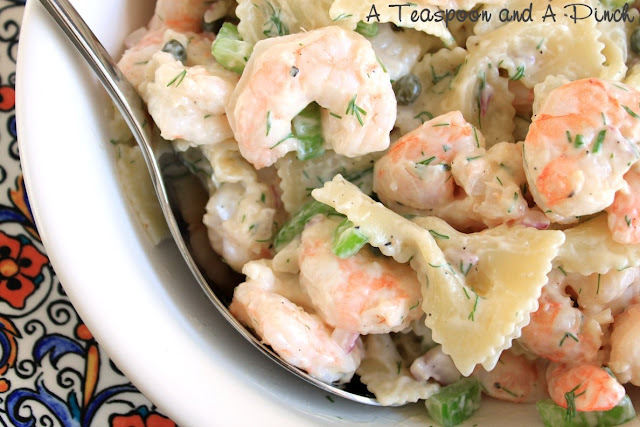 I've missed coming here to share recipes, share life, and share a few photos too. Adjust your oven rack to the middle position and preheat to 350°F. Line 2 large baking sheets with parchment paper or a silpat. 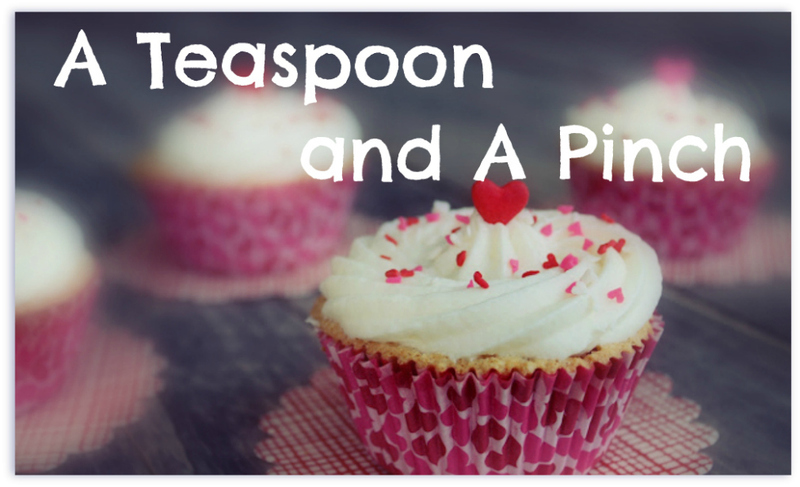 In a medium bowl, whisk the flour, baking soda, and salt together. Add chocolate and nuts and set aside. In a large bowl, whisk together both sugars and set aside. 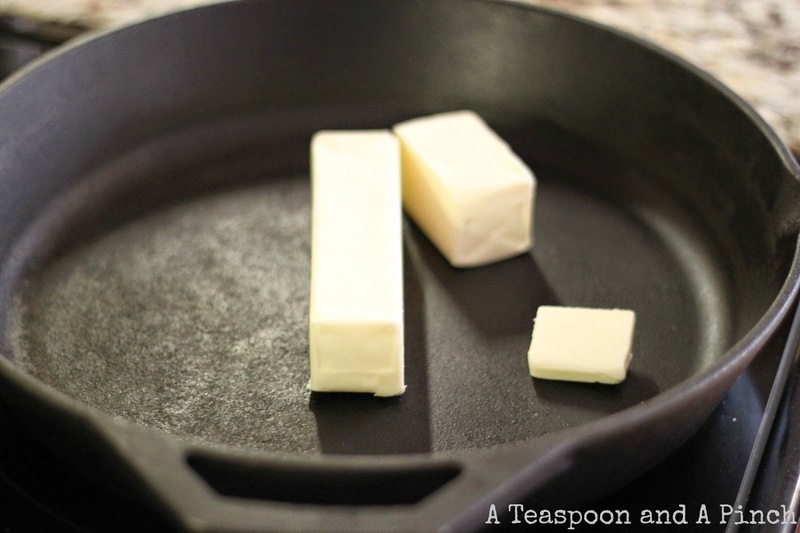 Heat the butter in a 10-inch skillet over medium-high heat until melted, about 2 minutes. Continue cooking, swirling the pan constantly until the butter is golden brown and has a nutty aroma, about 1 to 3 minutes. Remove the skillet from the heat and using a heatproof spatula, pour the browned butter into the large bowl with sugars. Whisk butter and sugars until combined. Add the egg, yolk, and vanilla and whisk until the mixture is smooth with no sugar lumps remaining, about 30 seconds. Let the mixture stand 5 minutes, then whisk again for 30 seconds. 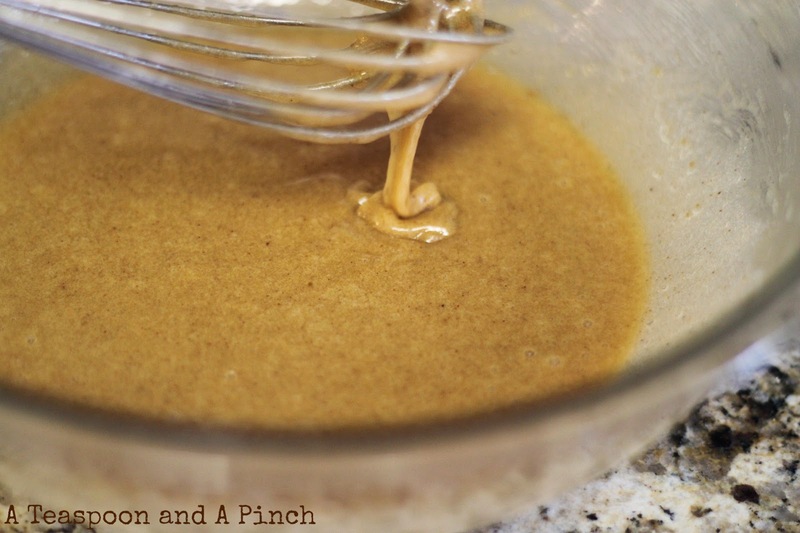 Repeat process of resting and whisking until mixture is thick, smooth, and shiny like a caramel, and is cool to the touch. 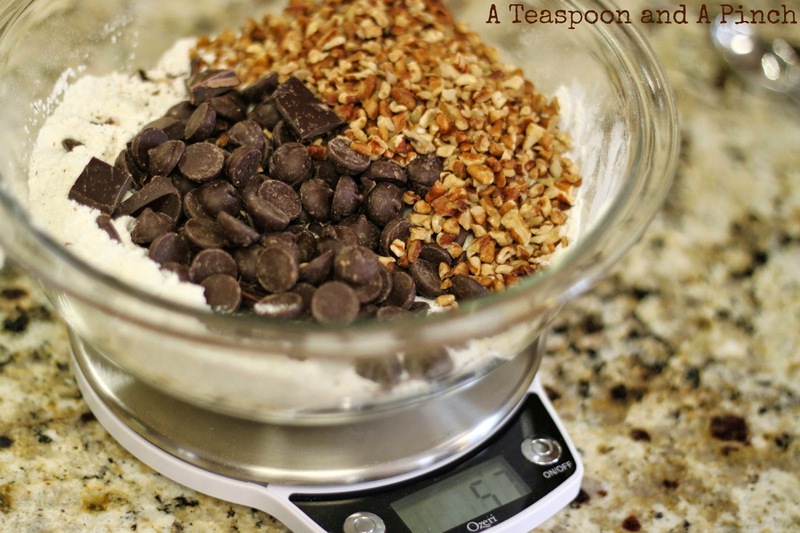 Pour in the flour mixture and chocolate and nuts all at once, and stir until just combined. 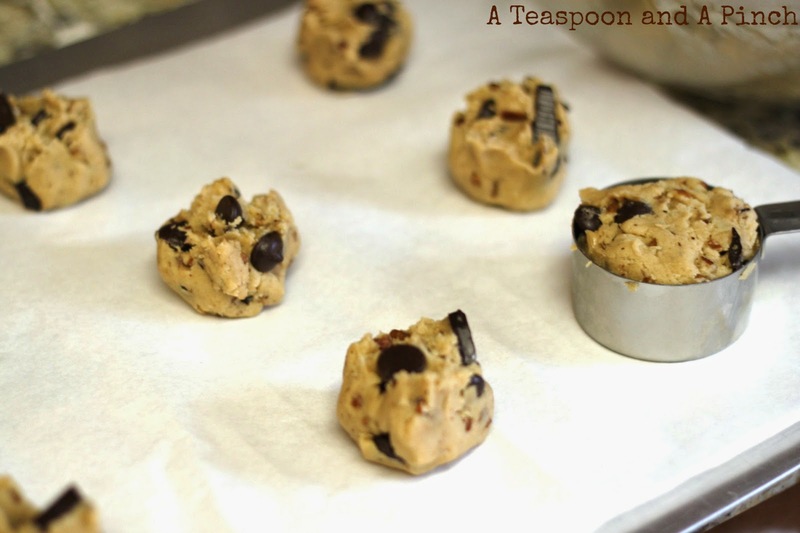 Using a 1/3 cup measuring cup, scoop out the cookie dough and tap into your hand. Roll the dough into a ball and then break each ball in half (like cracking open an egg) with both hands, and place each half onto a cookie sheet with its jagged side up. Bake 10-12 minutes, until they are golden brown and still puffy, and the edges have begun to set, but the centers are still soft. Allow to cool at least 5 minutes on the cookie sheet. Makes ~ 18 cookies. Because all good recipes begin with cast iron and butter. Aww thanks! I haven't even touched the blogging world in a year. Which means... I have a lot of catching up to do in the land of North Dakotan gnomes. Yay cookies! Yay baltering! Yay us! Wow, you've had a lot going on Sara.....glad you are doing ok and hanging in. Great to see you back on your blog. And yes, I totally wish I had one of these cookies right now. 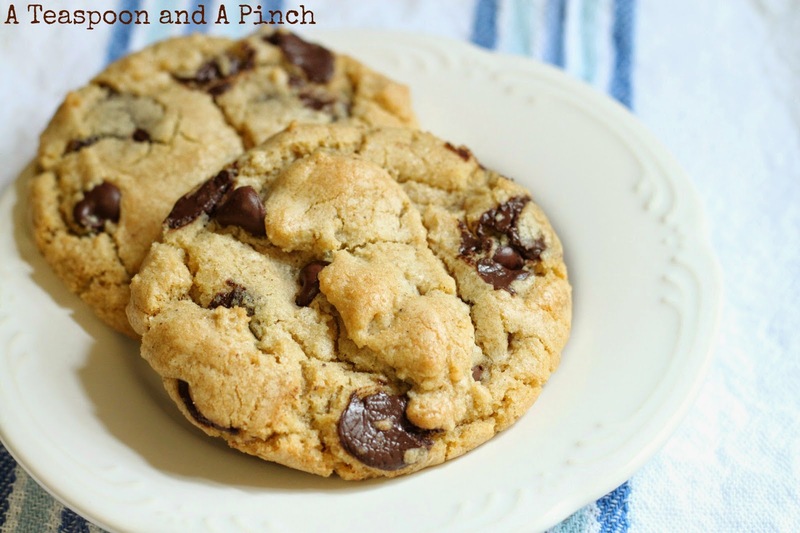 Nothing brings me back to childhood quicker than a chocolate chip cookie. And brown butter.....oh my.